Green roofs should discharge water permantly. Therefore it must be possible to check and clean the roof drain with little effort. The SS inspection chamber is installed within the green roof system. 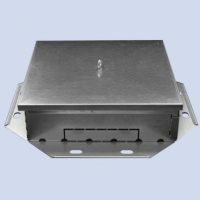 Inspection chambers, grid lid and extension element.